Looking for best CDS exam books to pass? Pathfinder for Combined Defence Services exam book is the best book to prepare for the exam. Check out topics covered, best place to buy and review of Arihant Pathfinder for CDS exam here. Arihant publications has published many best books in almost all entrance exams till now. And Pathfinder for CDS exam is also one of them. Sanjeev Jain, Amit Rastogi, Atul Sharma, Digvijay Singh, Preeti Gupta, Prashant Kumar, Balmukud Singh are authors of this book. 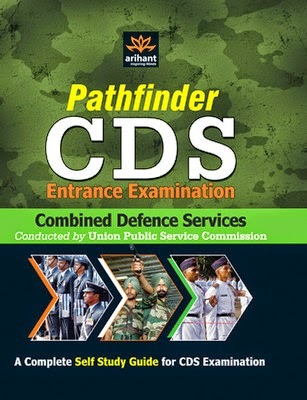 Since its release, Arihant Pathfinder for CDS exam has become the best book of CDS exam because of extensive coverage and techniques provided. Following topics of CDS exam syllabus are covered fully in the Pathfinder book. Thus, Arihant Pathfinder for CDS written exam is the best way to prepare for passing the exam with ease. Where to buy Pathfinder for CDS book cheaply?